Protect yourself against any outside forces that may threaten the safety of your home or business with the Defender BlueLine security series. 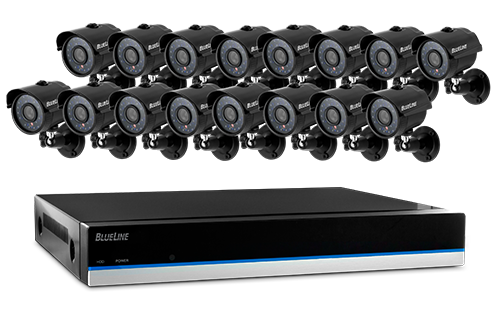 This 16 channel DVR kit comes with 16 ultra high resolution cameras, packed with all the valuable features you need to neutralise any threat and keep your peace of mind at an all-time high. See it all in pristine detail, day or night: high resolution 600 TVL cameras with 75ft night vision leave nothing to the imagination.